The Confucius Institute at SUNY College of Optometry is a joint project of SUNY College of Optometry, Wenzhou Medical University and the Chinese government through Confucius Institute Headquarters (also known as Hanban), a public institute affiliated with the Chinese Ministry of Education. 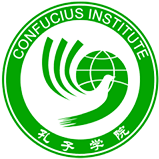 The Confucius Institute at SUNY College of Optometry provides Chinese Language and Culture courses and Tai Chi courses, holds a variety of events on language, culture and Healthcare, and is a center for Chinese language tests including HSK, HSKK and BCT tests. The Confucius Institute at SUNY College of Optometry provides programs and courses in Chinese language and culture with special emphasis on the healthcare system in China. Classes are open to SUNY students and faculty as well as to the general public and are particularly applicable for anyone who plans on working or studying in any of the healthcare fields or in biomedical research in China. The learning experience will enable these individuals to have a better understanding of the culture of providers and patients and of existing practices such as traditional Chinese medicine. Tai Chi has been recognized as having major health benefits in Chinese culture. As a health-oriented Confucius Institute, Tai Chi classes help to fulfill the Confucius Institute mission. We provide the Tai Chi classes which consist of ten ninety-minute weekly sessions for ten weeks each semester.